So what am I working on? Christmas projects. Specifically Noodlehead's Super Tote pattern that I bought on Cyber Monday. 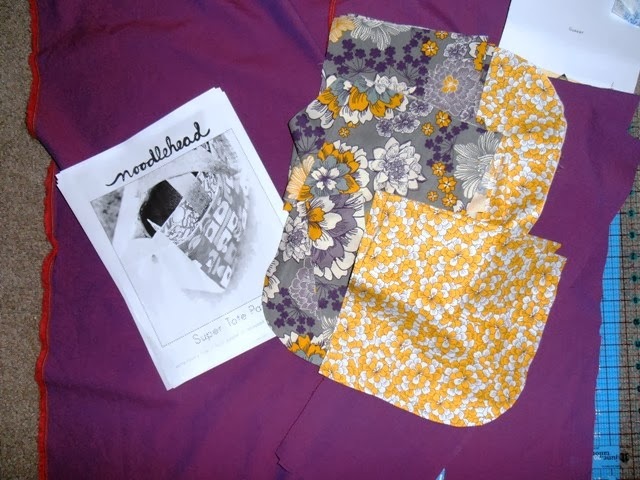 The solid purple is a chambray that will be the sides of the bag, the purple and yellow flower will be the exterior and pocket, and the yellow mum print will be the inside of the bag. I had all this fabric in my stash and only had to buy the zipper. I love using up stash fabric. 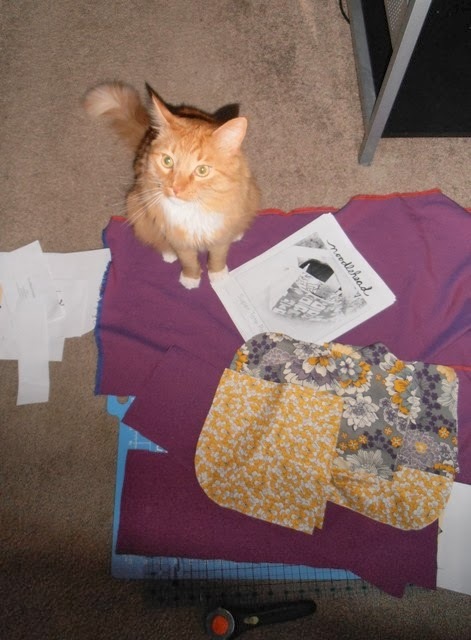 :) I'm hoping to get three totes done by Christmas. And just in case you think I'm bored sitting at home sewing by myself, here's a picture of my adorable helper. PS- The Six Pattern Bundle Giveaway ends tonight. Enter here.